On Saturday, BT Al, Ian and I set off into a Force 3/4 SW wind to paddle Loch Shiel, showery and squally, it was fine for canoeing. Camped on the Rubha Leathan. Next morning, a pair of Eagles were circling close to our tents, hardly a wing beat and a wonderful sight amongst this splendour. 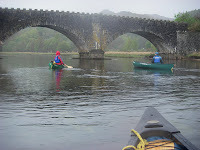 We set off at 7.30am whilst it was calm and drizzly. 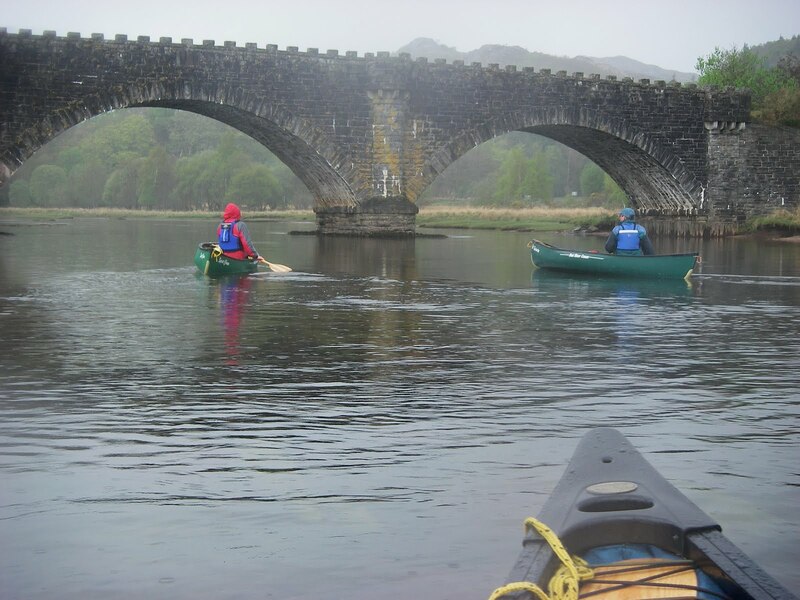 The River Shiel was at a superb level for paddling and we were all surprised at how pleasant it was. The rapid at the end was like a mini 'washing machine' on the Spey. It was brilliant fun and much shorter than expected. 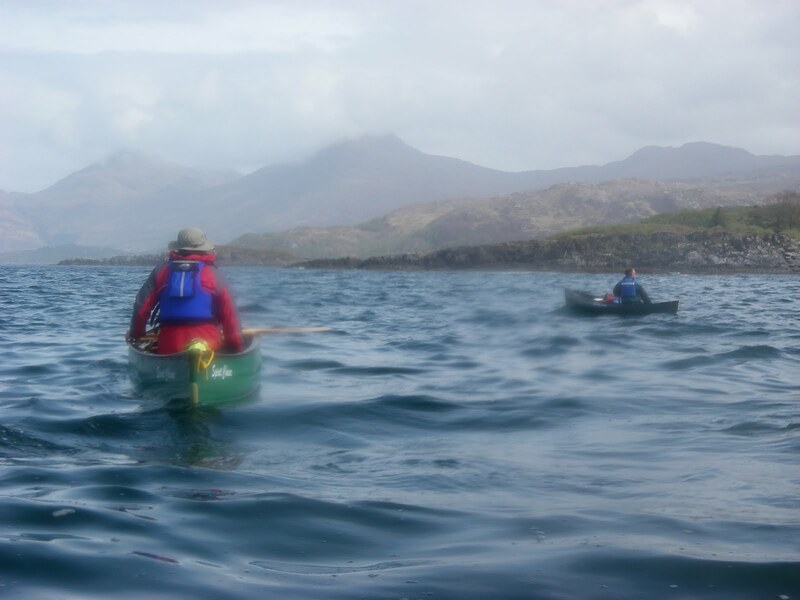 We really enjoyed this section paddling across to have a look at Castle Tioram, then amongst the wee islands to reach the North Channel. Once past the Ford on this the weather brightened and became quite sunny and warm, and the outlook towards the sea was very inviting. As we came to the end of the channel, we spotted 2 otters who had been on the shore but dived in when they saw us. Once on the sea we headed North. There was a fair sized swell and it was amazing to be at a high point on a swell looking down on either of the other guys before being at the low point looking up! We kept well away from the shore as there were some big breakers all along it, even what looked like safe havens would have been impossible to land at due to these. Just like being on a roller-coaster and quite exhilarating! 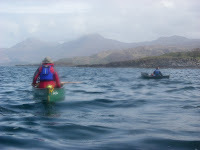 Once we turned the corner heading towards Glenuig we had the sea behind us and a gentler swell, managed to get a couple of photos then. Found a pleasant spot to camp past Glenuig where we watched otter, cormorant, black throated divers etc. 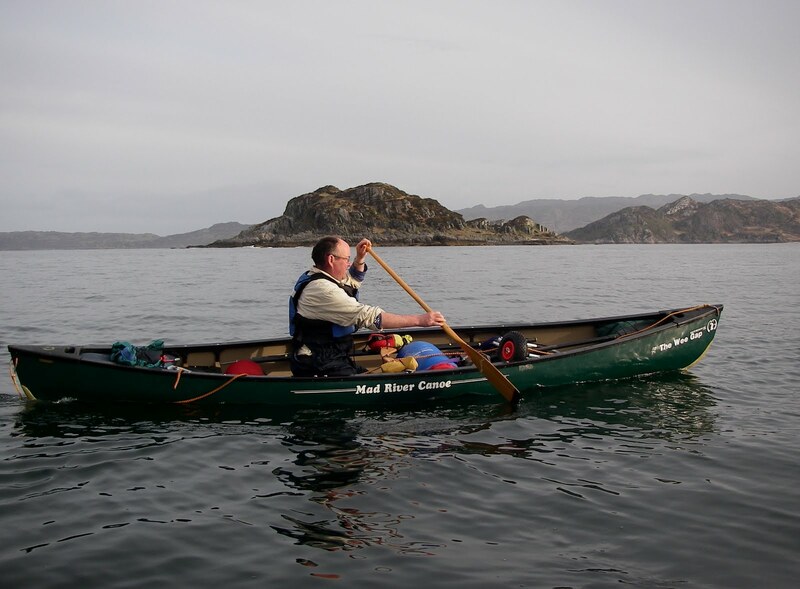 A gentle 2 hour paddle on Monday took us to the take-out but not before stopping to watch 2 otters playing. 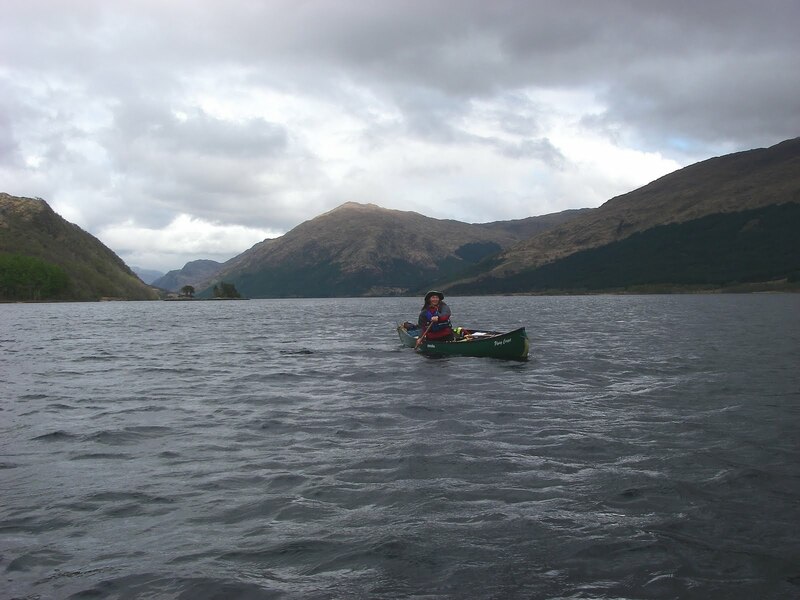 This whole area is a paddlers paradise, and this trip in particular a fine way of experiencing it.